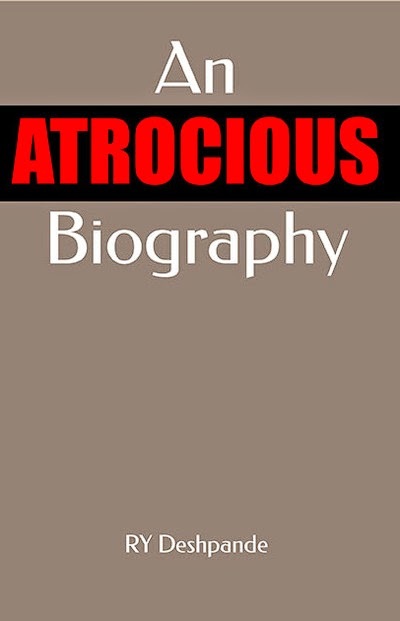 There are any number of acceptable and authentic biographies of Sri Aurobindo, but it is also true that none can come to the expectation rising to the greatness of the person they are trying to portray. Can a life-account of an exceptional Mahayogi be really grasped and presented by anybody? It cannot. Sri Aurobindo himself had said that his life was never on the surface for men to see. If a biography had to be written he himself would do it—he would write an autobiography. And indeed he has done it through his symbolic epic Savitri. Yet we have a few accounts which are in a general sense not only adequate or satisfactory but also inspired and intuitive. Sri Aurobindo’s own long associate and personal attendant AB Purani writes about early life-accounts which had appeared at places: “I had occasion to refer to Sri Aurobindo all the doubtful points of these books for correction or corroboration. This gave me the correct ground for his biography. I had been collecting material myself since 1923.” This was as early as 1958, but indeed it was inspiring. Then Sri Aurobindo—His Life Unique by Rishabhchand written during the decade from 1960 carries in it the seal and sanction of the Mother herself. It restricts itself entirely to the pre-Pondicherry period up to 1910. MP Pandit’s Sri Aurobindo in the Builders of Modern India sponsored by the Government of India is to record the story of struggles and achievements of the eminent sons and daughters of India who have been mainly instrumental for our national renaissance and the attainment of Independence. In it if there are miracles of the human side they are also cherished, cherished to kindle our hearts and souls to the possibilities that we possess. Srinivasa Iyengar’s official Sri Aurobindo—A Biography and History as the fourth edition of 1985 is a monumental story essentially giving facts after facts in the life of Sri Aurobindo, giving them with the deep and sensitive touch of a deeper and more sensitive perception. The book runs into 800 pages and proclaims that Sri Aurobindo’s writings are not isolable from his life. Does one then need to go anywhere else to read his life if not in his writings? Georges van Vrekhem’s very extraordinary Beyond Man has as its frontispiece a quotation from Sri Aurobindo: “The changes we see in the world today are intellectual, moral, physical in their ideal and intention: the spiritual evolution waits for its hour and throws up meanwhile its waves here and there. Until it comes the sense of the others cannot be understood and till then all interpretations of present happenings and forecast of man’s future are vain things. For its nature, power, event are that which will determine the next cycle of humanity.” The next cycle of humanity opening into the spiritual—that is the true penetrating sense of insight we get from this European’s account of Sri Aurobindo. An opening into the dynamic spiritual—that is what we get in Satprem’s Sri Aurobindo or The Adventure of Consciousness. It looks as though Sri Aurobindo himself was standing behind this Adventure. The author says: “This book has been written from a Western point of view and for those who yearn for a truth of Life and not only a truth with eyes closed.” Perhaps in it one will find “perfect harmony of inner freedom and outer mastery”. If the luminous intuitive can be the possible way of presenting the Yogi’s ‘life’, then it is here. But in contrast to all this what do we have in The Lives of Sri Aurobindo authored by Peter Heehs and published by the Columbia University Press in May 2008? It is utter falsification of the vision and work of Sri Aurobindo. It revels in lurid details. About spiritual experiences it voices half-truths. It calls Sri Aurobindo’s main work Savitri a “fictional creation”. There is the constant doublespeak in the biography. Everywhere the intention is to denigrate the Master-Yogi. Peter Heehs travels Freud’s royal road deeper into the unconscious. In this presentation he is actually toeing the line of the Chicago School of Wendy Doniger to downgrade Indian tradition and all that is noble and Indian. Its objective seems to be to offer to a certain brand of intellectuals sleazy soap-operas that can provide aberrant entertainment. Yet why should one like Mr Heehs? ‘cause he can cause more drama than a “naked chick in the Vatican” or, for that matter, in the editorial room of Auroville Today. It is regrettable that a certain type of American scholarship should have fallen into such a terrible pit of rationality that always keeps itself shut from things lofty and creative and elevating. By becoming too rational it becomes vitalistically infrarational when the new horizons are trying to stretch into the suprarational for the growing soul of man, when post-human destinies are awaiting with new faculties of cognition. “Sri Aurobindo is one of the greatest thinkers of Modern India,” said Nobel Laureate Romain Rolland. He is “the most complete synthesis achieved up to the present between the genius of the West and the East... The last of the great Rishis holds in his outstretched hands, the bow of Creative Inspiration.” But disappointingly this fallacious American scholarship is not aware of that bow of Creative Inspiration. That is perhaps its misfortune. In contrast to this Times Literary Supplement, London, looks at Sri Aurobindo as follows: “Of all modern Indian writers Aurobindo—successively poet, critic, scholar, thinker, nationalist, humanist—is the most significant and perhaps the most interesting... In fact, he is a new type of thinker, one who combines in his vision the alacrity of the West with the illumination of the East. To study his writings is to enlarge the boundaries of one's knowledge... He is a yogi who writes as though he were standing among the stars, with the constellations for his companions. Sri Aurobindo is no visionary. He has always acted his dreams... So from individual self-discipline he has gone to the life of humanity. The Psychology of Social Development, Ideals and Progress and The Ideal of Human Unity should be carefully considered by all those who are busy preparing blue-prints for the future.” Can by any stretch of imagination this be called hagiographic, as the author of The Lives of Sri Aurobindo would rush to broadcast? If the Indian Renaissance as a large collective began in the early decade of the last century in it Sri Aurobindo had a major part to play. For holding the principle of free speech as his right and the Doctrine of Nationalism he had to suffer the ignominy of an undertrial prisoner for one year, 1908-09. But good sense of justice prevailed in the colonial masters and he was acquitted. His defence lawyer CR Das perorated: “Long after this controversy will be hushed in silence, long after this turmoil, this agitation will have ceased, long after he [Sri Aurobindo] is dead and gone, he will be looked upon as the poet of patriotism, as the prophet of nationalism and the lover of humanity. Long after he is dead and gone, his words will be echoed and re-echoed, not only in India, but across distant seas and lands.” For Sri Aurobindo India was always the Mother to whom he would adore and worship. He had even the certitude that he would redeem her fallen lot. God had sent him to this world to accomplish that great mission, he wrote in the confidence of a god. If a biography of Sri Aurobindo takes a perfunctory view of these outstanding events it would only go to show the dark and calamitous malaise that is present in the soul of the biographer. In fact his whole intention seems to denigrate all that is noble and Indian. An Atrocious Biography critiques systematically and with incisive scientific thoroughness this misgiven Lives of Sri Aurobindo. Running into 700 + pages it covers a few aspects to establish the deep-rooted predisposition and prejudice the author—a school dropout—of the Lives holds towards India and things that belong to the noble traditions of its civilisation and spirituality. This is symptomatic of a certain brand of American erudition and American learning which in fact is causing a much greater harm to its own psyche than these perpetrators of values would realise. If the Atrocious Biography can drive that message home its purpose will be more than served, served in the possibilities of post-human destinies that are waiting for us to dynamically live in and progress. Prof RY Deshpande has put together a penetrating and diligent effort of exposing Peter Heehs, Jeffrey Kripal and Wendy Doniger -- the trio of anti-Hindu neo-colonialists whose single-minded objective is to pervert and sexualise anything Hindu, and who seek now to pervert the life of Sri Aurobindo. Deshpande's book exposes the numerous factual distortions and deliberate deceptions in Peter Heehs' biography which are intended to distort and mis-represent Sri Aurobindo and his teaching. The book contains a collection of his writings on this theme over a period of several years. Deshpande is a former scientist of BARC, India's most reputed nuclear research centre, and as such his crisp analytic intellect shines through in his critique of Heeh's distorted and "atrocious" biography. His writing is further uplifted by his obvious scholarship and love for Sri Aurobindo and his writings. A must read for all who love Sri Aurobindo, India and Hinduism. PS: Rich Carlson has posted an angry review here which is obviously written without having read this book at all. It may be noted that Rich Carlson is financially linked to Peter Heehs and his attrocious biography. His review of Heeh's book elsewhere on this site exposes his anti-Hindu bias and his hatred for anyone who views Sri Aurobindo as a spiritual giant and Guru. His angry review therefore must be seen as high praise for Prof R Y Deshpande's work by all who care for and respect Sri Aurobindo, Indian spirituality and Hinduism in general.